H&D is a WordPress theme designed for home, decor and interior design firm. We have done a deep research in the business, so we know exactly what interior design firm needs in a website. It is the only WordPress theme in the market that offers what an interior design firm needs. The Most Unique Demo Variations in One Package. 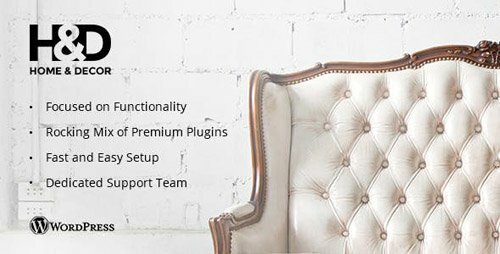 The idea behind Provalio is to craft the Ultimate WordPress Theming expetience. 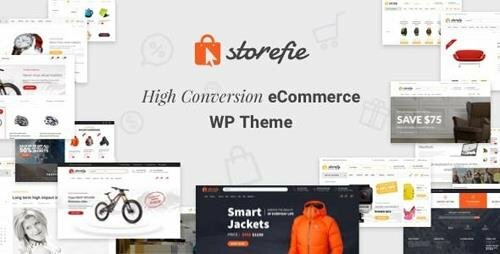 The beautiful design, paired with powerful theme options and a drag-and-drop page builder makes it the most valuable WordPress theme on the market. Provalo delivers such quality design that makes your cumpetitor's website seems to disappear. 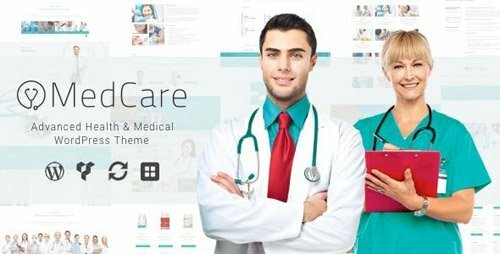 MedCare is a beautiful and ultra flexible WordPress theme for Health and Medical business company. All the elements required in a medical theme are given in MedCare. MedCare is also highly suitable for other service company and corporate categories. Packed with everything you need to launch your site hassle free! 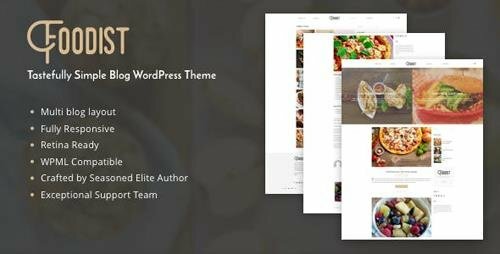 Powerful and user friendly Theme Options, Visual layout builder, Custom post and portfolio – all within a single integrated interface! 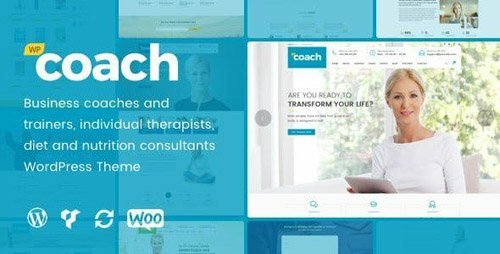 WP Coach is a beautiful and ultra flexible WordPress theme for Life, Health and Business Coach. All the elements required in a coach business website are given in WP Coach. WP Coach is also highly suitable for other service company and corporate categories. Packed with everything you need to launch your site hassle free! 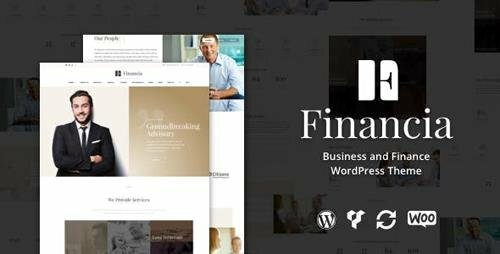 Powerful and user friendly Theme Options, Visual layout builder, Custom post and portfolio – all within a single integrated interface! 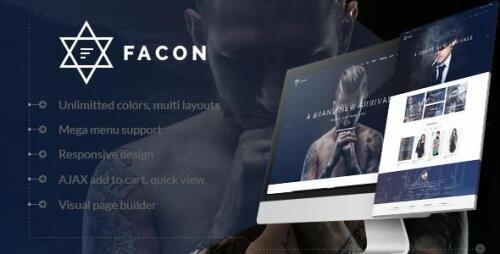 Facon is a new theme for fashion store with modern design. 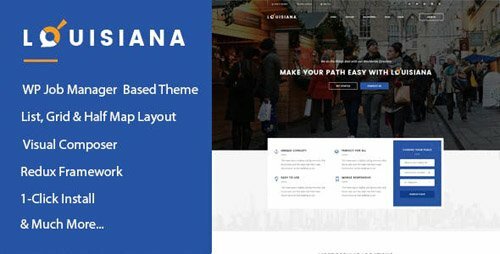 This theme include many great features like mega menu, slider, page builder, product quick view, wishlist, compare, zoom. It suits for your fashion store. You can show your product in nice ways like carousel sliders, tabs. With brand logos slider, you can show your product brands on home page. Show customers testimonials, latest news of your store. The theme also includes some predefined pages like about us, contact us, our services. 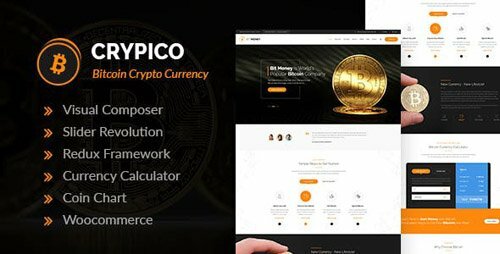 It will help you to build your website with a short time. 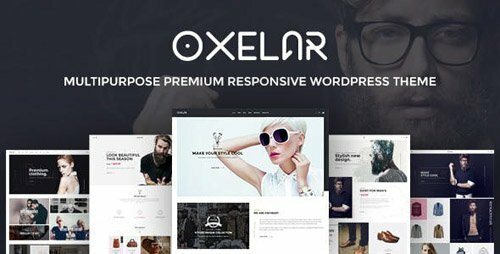 Oxelar is a new theme for fashion store with modern design. This theme include many great features like mega menu, slider, page builder, product quick view, wishlist, compare, zoom. It suits for your fashion store. You can show your product in nice ways like carousel sliders, tabs. With brand logos slider, you can show your product brands on home page. Show customers testimonials, latest news of your store. The theme also includes some predefined pages like about us, contact us, our services. It will help you to build your website with a short time. 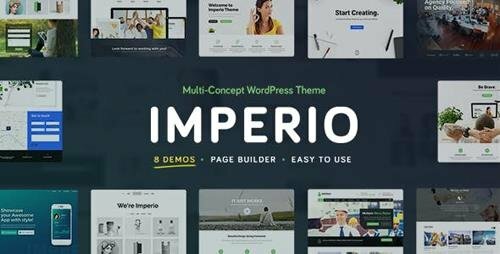 Imperio is based on twitter bootstrap framework. 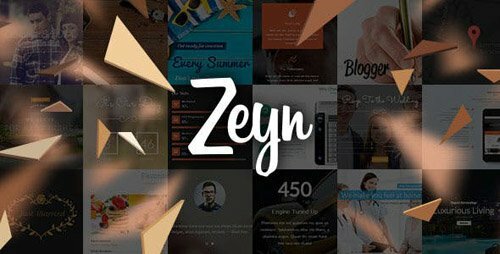 This All-In-One package includes the awesome Revolution Slider Plugin (19$ Value), Visual Composer Plugin (34$ Value), Master Slider Plugin (18$ Value), Ultimate Addons Plugin (18$ Value)unlimited customizability, built-in mega menu, full WooCommerce design integration, premium Cube Portfolio plugin (16$ value), typographic options with over 600+ Google fonts, robust admin panel with hundreds of options to make it your own, tons of useful visual page builder elements and 6 Demos, available with just 1 click! 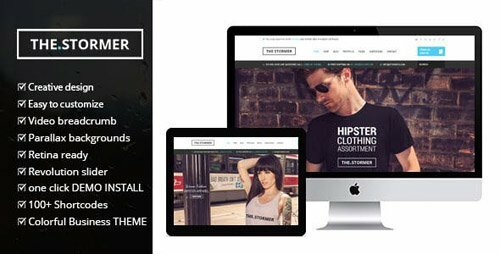 After months of hard work, we are proud to present our latest WordPress Theme, Stormer. It is a minimal Apparel Store with emphasis on simple layout which is fashioned today. 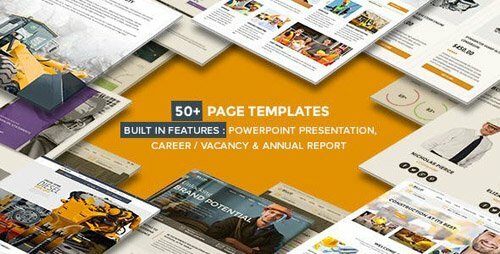 The template is available in our one click demo importer. This means that you will have any layout up and ready in less then 5 minutes. To see the importer in live action, please check the video tutorial below. 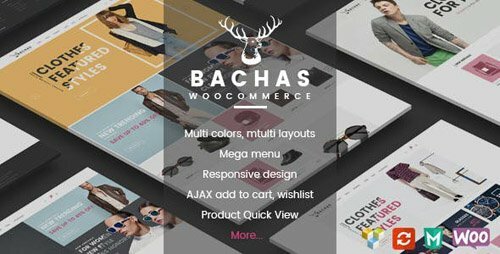 Bachas Responsive WordPress Theme is an elegant design WooCommerce with 4 layout homepages. It supplies many necessary features for an ecommerce online store. Mega Menu shows product categories with the popup contains a nice image. Slideshow is nice, big and lively with smooth transition. Sale products are displayed with slider beautifully below slideshow. New Products Slider display a new product with big size. 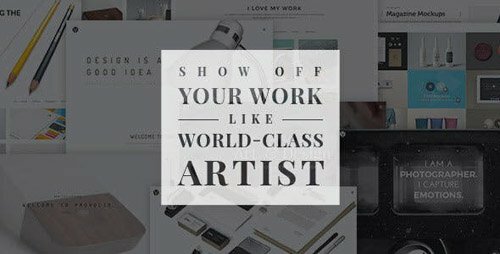 Brand Logo Slider shows logo of famous brands or your favorite brands. Tab Category Slider displays products of each category in slider in each tab. Mixture between icons such as Add To Cart, Add To Wishlist, Add To Compare, Product Quickview and background when hover product make softness for this theme. Product Quickview views detail information of the product which you are seeing, you can purchase that product immediately via add to cart button. Static blocks with nice images and text bring helpful information about your store. In addition, Testimonials and Blog help you build a lasting relationship with your customers through reviews, comments in the store. 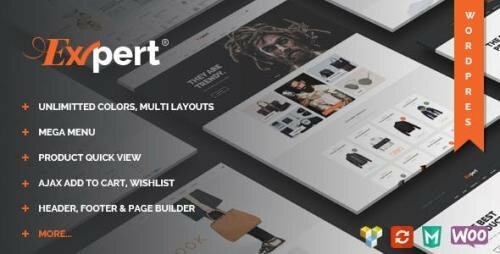 Expert is a new theme for your new store with modern design. This theme is suitable for Furniture, Clothes, Shoes, Digital, Handmade shop. 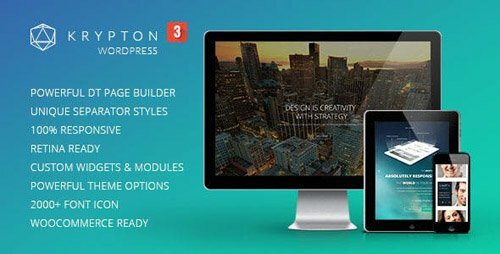 Expert includes many great features like mega menu, slider, page builder, product quick view, wishlist, compare, zoom, header builder, footer builder. You can show your products in nice ways like carousel sliders, tabs. The shop is available with grid & list view. Show customers testimonials, latest news of your store. The theme also includes some predefined pages like about us, contact us, our services. It will help you to build your website with a short time.